The Count of Monte Cristo is Alexandre Dumas’s second most famous novel, the number one spot going to his swashbuckling classic The Three Musketeers. Completed in 1844, The Count of Monte Cristo, was originally published episodically and was expanded from plot outlines suggested by a collaborating ghostwriter. This goes some way to explain why it is such a crazy, disjointed narrative, taking in every possible adventure story archetype including a treasure island, pirates, prison, duels, false imprisonment and escape. 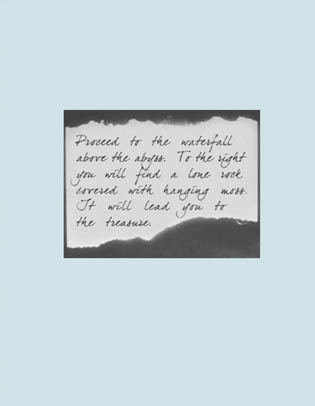 The overarching themes are of betrayal, patience and disguise; revenge, forgiveness and redemption. The sprawling plot is filled with twists and turns, lengthy deviations, historical reference and characters with multiple identities. 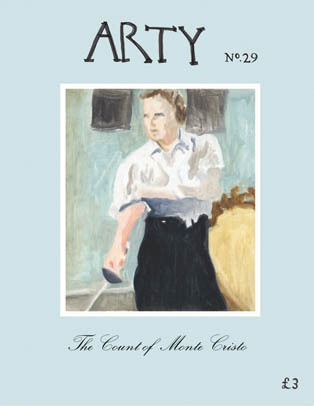 This issue of Arty is published alongside a series of shows inspired by The Count of Monte Cristo. The first of these shows, The Arrival, took place on Tresco – one of The Isles of Scilly, the second Island of True Stories is at the Phoenix Gallery in Exeter from 1 April – 15 May 2011. The third Conspiracy is at Rogue Project Space in Manchester from 29 April – 6 May 2011. The issue itself fittingly features islands, treasure, aristocrats, caves, lots of duplicity and very excitingly a chance to read two lost chapters from The Count of Monte Cristo which were discovered at Wilmore House and have been translated by Paul Becker.